Are you thinking of creating your blog or website with WordPress? You are looking for WordPress themes quality and professional looking to succeed on the Internet? I have compiled for you the best templates on Themeforest to help you find the right theme to succeed with your website. Today a template or WordPress theme gives you the ability to create a blog or website simple and easy way. But get web templates that provide us a responsive website with good usability, optimized for SEO or attractive design is not easy, since there are thousands of choices of themes and the easiest way is that in the end we feel overwhelmed with so much on offer. So I wanted to make this compilation with the best WordPress themes on ThemeForest you can be helpful when choosing yours. 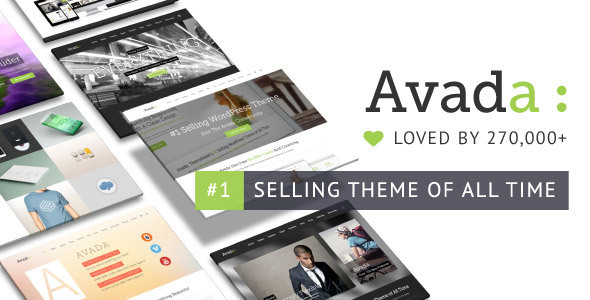 Themeforest is the largest portal to buy premium themes for WordPress, Joomla, Magento, etc. It's the same page of the best templates Curriculum Vitae , Graphicriver.net . It currently has over 21,000 different topics, with more than 5,800 templates are for WordPress. With these themes Premium can all type projects, such as a website, a blog, a portfolio, ecommerce, etc. All with a very professional and elegant finish. There are other places where you can buy WordPress themes like Elegant Themes or CPOThemes, but my favorite is Themeforest, the quality and quantity of choices. See how to choose a theme on Themeforest. When you decide to buy web templates, you must take into account a number of parameters to choose well themes that suit your professional needs. It is essential to have close attention to the speed of loading templates, when you go to select some. It is a crucial success factor of your website. Having a heavy theme where people have to wait 5 seconds for the web is loaded, is reason for the bounce rate is high and visits to the site are low. To find the speed of loading a template you can put your URL into the tool GTmetrix and decide if it suits the subject. More and more people access Internet content through mobile devices, so it is essential to choose a responsive theme. As is known to all Blogger or Community Manager , it is important that whenever you can select templates "SEO friendly" or "SEO Ready" because they indicate that theme is optimized for SEO , that is, that is configured for positioning search engines. It is a feature that I have selected for this list, but that is not a fundamental criterion when choosing a template, there are other more important. But how do you know that today the visual aspect is very important for the success of any web content. That's why I include this as a criterion to consider. It is best to select an attractive subject, with good visual quality and meets the other criteria in this list. Another important aspect is to pick a theme that is flexible in customizing, ie, allowing customize most things the easy and simple way, without the need to touch code. It is another essential when selecting a template aspect, since WordPress is updated frequently and the issue should never be out of date. Therefore, it is important to have a template that allows to detect frequent upgrades and updates fix bugs. In this post I wanted to help in choosing the template for your website, as there are many WordPress themes, and sometimes that can be a costly and long - lasting good work. I hope this article will take a hand in selecting a good, attractive and efficient theme for your blog or website. You knew all these templates? Have you used or use some of them? 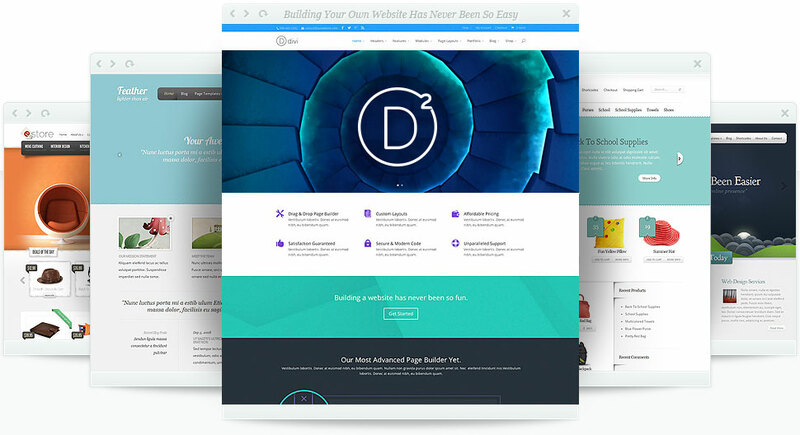 What other WordPress themes on ThemeForest add to this collection? If you know other templates that should be highlighted, I encourage commenting and so help me improve this article. You know, if you found interesting article can share it on your social networks.